Apple's vice president of Internet Services and Software Eddy Cue retook the stand on Monday, looking to add clarity to U.S. Department of Justice allegations that the so-called agency model contracts the company signed with publishers caused an overall inflation in e-book pricing. 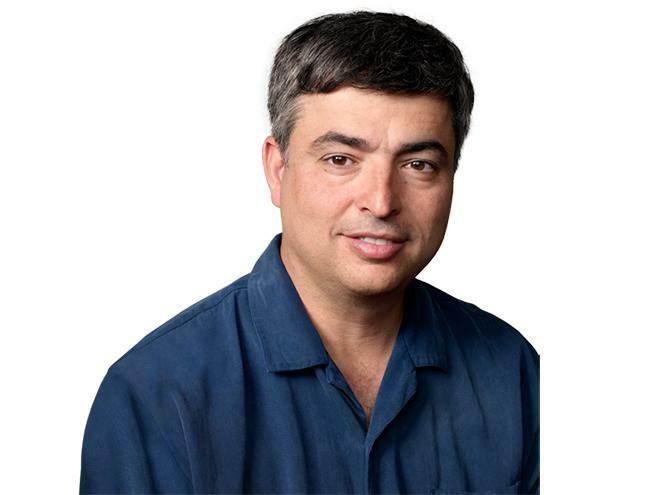 Apple's senior vice president of Internet Services and Software Eddy Cue. During his testimony, Cue appeared to be in control, putting evidence from the Justice Department in perspective, including emails between himself and late Apple cofounder Steve Jobs. According to The New York Times, Cue said in court on Monday that Jobs was surprised that Apple was able to "create ripples" in the e-books industry, which at the time was dominated by Amazon. Wow, we have really lit the fuse on a powder keg, Jobs wrote in a January 2010 email. Cue said the comment was not congratulatory in nature, but instead pointed to how much of an impact Apple's ongoing negotiations with five major U.S. book publishers were having on the sector. The Apple executive did admit e-book prices did rise after the company entered the market with its agency model contracts, but noted the strategy allowed a number of titles which may never have been made into e-books to be sold in the digital marketplace. The main thrust of the DOJ's case are the agency contracts Apple made with publishing houses. Key to the government's argument is the most-favored-nations clause, which disallows content owners to sell e-books at another retailer for a lower price. Cue said this was for Apple's protection, but the Justice Department asserts the tactic destroyed Amazon's ability to compete on price. Cue said publishers were ready to rebel against Amazon's wholesale model by employing a windowing strategy that would delay the release of a title's digital version until the more lucrative hardcover iteration had been on shelves for some time. Under wholesale, the Internet retailer bought content rights and sold e-books at or below cost, often at a set $9.99 price. With more evidence being released to the public, a particularly interesting correspondence revealed Jobs read certain Apple-centric websites to gain further perspective on his company's dealings. As a somewhat humorous side note, during the proceedings on Monday, Apple's lawyers used a MacBook, and presumably Keynote, to present its side of the argument. While the defense could easily switch between slides and perform advanced side-by-side and zoom functions, the DOJ could only show one slide at a time, with one video's audio completely failing. When presiding Judge Denise Cote asked whether the government lawyers were using a Mac, they replied "no," it was a Hewlett-Packard.